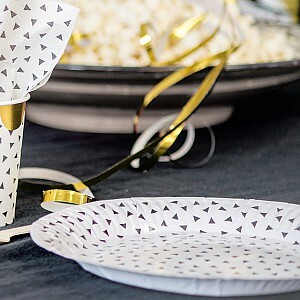 Here you can find disposable paper plates for birthday parties, celebrations and special occasions! Practical, nice and fun paper plates for the childrens party. The plates are available in many different styles, colors and themes. White / Black. Diameter 23 cm. 8 pcs.